We are a registered contractor with the NICEIC and the ECA providing a high quality, professional and reliable service to all domestic, commercial & industrial clients. 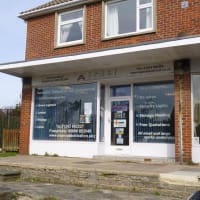 Aspect Electrical was founded by Simon Aspital and opened for business in 1998, Selsey, West Sussex. We have over 20+ years’ experience in the industry. As a rule we always ensure to provide a high quality, professional and reliable service to all domestic, commercial and industrial clients. We are a registered contractor with the NICEIC and the ECA (Electrical Contractors Association) and we have a growing team of experienced electricians, data technicians, fire alarm engineers and apprentices. Our public and Employers Liability insurance is arranged by the NICEIC and we have Public Liability sum insured to £10,000,000. Here at Aspect Electrical Contractors Ltd, we pride ourselves on the quality of our domestic electrical installations and repairs. When it comes to your home, we appreciate how important it is not only to feel safe in terms of any work carried out but to feel respected by our engineers too. With over 20 years’ experience, we’re confident we can more than deliver on both counts. We offer a wide range of services for our Commercial clientele, as we know from experience that no two businesses are the same. From factories, schools and hospitals to offices, quarry works, restaurants, football cubs and farms, our commercial electricians are here to keep your business running. With the heavy-duty, high-traffic environment associated with the industrial sector, you need electrical contractors with the expertise to match. 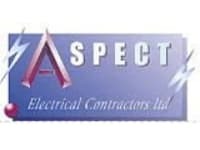 At Aspect Electrical Contractors Ltd, you’ll find a reliable, efficient and professional service tailored to your business needs. From refits through to 3 phase installations, we offer affordable industrial electrical solutions. really professional & quality work. We needed some new fittings & an external power supply - really professional & quality work. 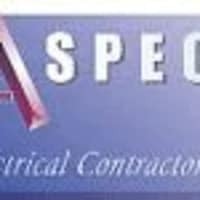 I've used Aspect Electrical at my company for several years and have always found them to give excellent service whether its fitting a new plug socket or undertaking an extensive office refurbishment. I could not recommend them more highly. The service received from Aspect Electrical was excellent and without fault. Aspect understood our problem and arranged for engineers to come out the following evening out of hours, so we didn't lose production time during the following working day. The quality of the job was spot on, with engineers who were very knowledgeable and professional on site. We will definitely use Aspect Electrical again in the future. We recently used Aspect to re-wire our house, they were really professional, fast & reliable. They came up with cost saving ideas & completed the work with minimal disruption. Thanks Aspect, we'd recommend to anyone.